Skye Gravestones | Donald & Flora (Macdonald) & family. Donald & Flora (Macdonald) & family. 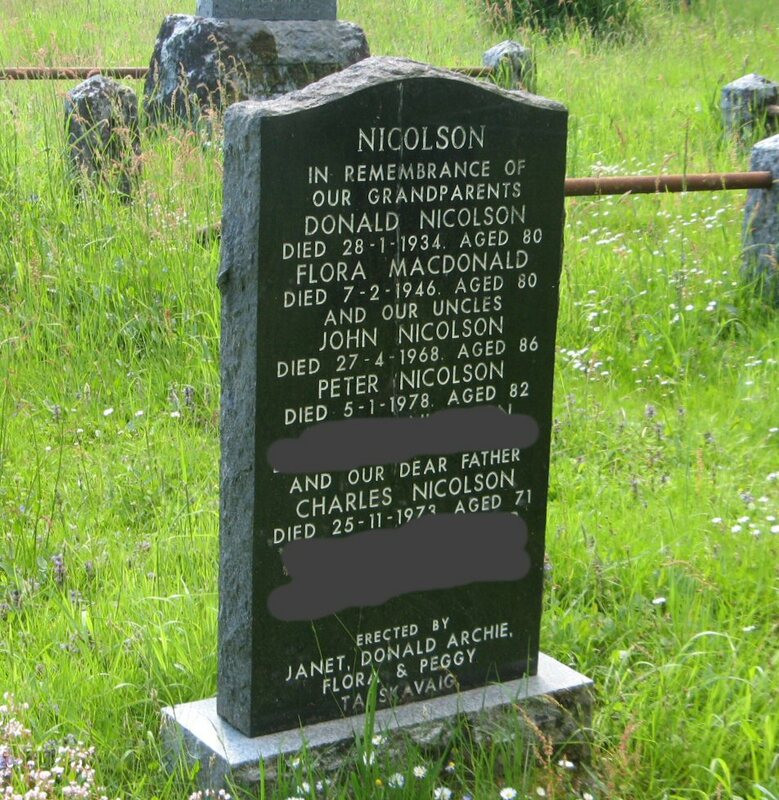 In remembrance of/our grandparents/DONALD NICOLSON/died 28-1-1934 aged 80/FLORA MACDONALD/died 7-2-1946 aged 80/and our uncles/JOHN NICOLSON/died 27-4-1968 aged 86/PETER NICOLSON/died 5-1-1978 aged 82/["recent"]/and our dear father/CHARLES NICOLSON/died 25-11-1973 aged 71/["recent"]. Erected by/JANET, DONALD ARCHIE/FLORA & PEGGY/Tarskavaig.